Source: Hamilton City Council, 2018. Chances of getting a job as an arborist are good due to high demand for their services and a shortage of trainees. 1-3 years of training usually required. Pay for arborists varies depending on their experience and skills. New arborists usually start on the minimum wage. Arborists with one to four years' experience usually earn between $18 and $22 an hour. Arborists with more than five years' experience can earn between $22 and $35 an hour. Self-employed arborists may earn more than this. plan and carry out pest and disease management. safe work practices and first aid. may work in dangerous conditions in bad weather and at heights. Jack: Hi I’m Jack, I’m 18 years old and I’d like to find out what career opportunities Treescape can offer me. Clinton: The CEO of Treescape, Ed Chignell, will point Jack in the right direction. Ed: Gidday Jack, good to meet you! Come on through. Jack: So what does Treescape do? Ed: Treescape is an arboriculture company. We look after trees for people – we have residential clients, for commercial clients, for local councils. We look after all the parks and street trees for some of the councils around New Zealand and we do a lot of land clearing work for developers when they’re putting in new properties. We also have a restoration division where we’re doing replantings of native species back into areas that need to be restored. Jack: When did you start this company? Ed: Oh we started about 31 years ago when my best and friend and I just left secondary school. We started doing bits and pieces. We were able to buy our first vehicle. We bought a busted up old Holden ute. Prior to that we'd be using my old Volkswagen which I'd bought for $400, and you'd put your leg over the gear stick in top gear just to hold it in otherwise it would pop out. Today between New Zealand and Australia we've got 400 staff and we're right through New Zealand and through Queensland. Clinton: Arboriculture can be dangerous work, so before Jack can even look at a tree, he does a two-day health and safety course with arboriculture guru Martin Herbert. Martin: What sort of hazards do you think you’ve got using a chainsaw? Clinton: After Jack has completed the theory it's time for some training in the field. There are over 400 skilled people working for Treescape in a variety of exciting and challenging careers across the country. Clinton: It's interesting because the nature of the work means you’re not on a job for more than two or three days before you move on to the next, and today Jack will get some one-on-one training with arborist Lawrence Schicker. Lawrence: OK Jack, we’ve got to come into this park and look for storm damage. We’ve had quite a bit of nasty weather lately. Lawrence: Being an arborist, you’re going to need to have a good knowledge of trees. Lawrence: …and a poplar, which is from Europe. OK? It might be a bit daunting at first, but everything’s got a botanical name – it's sort of like Ford Falcon. Lawrence: OK? So don’t freak out on that, it’s all good! Jack: Why do you need to know the names of the species? Lawrence: Different trees have different pruning requirements. We have to learn how to do proper pruning cuts that enhance the trees’ defense mechanisms, and not work against the tree. On a correct pruning cut you'll see what we call a callousing, it should go right around the pruning cut here, not quite right here, but pretty close. If you look up here, Jack, this is what a correct pruning cut should like. It's fully calloused over, so we've hit the money on that cut. Lawrence: What we have here Jack is a massive big pruning cut. It's quite an old tree. There's no way it can compartmentalise, it just hasn't got the energy. Lawrence: That's it. The general rule is we want to prune small branches, and more often, rather than just the one big hit. Clinton: A bad pruning cut like this can ultimately kill the tree. Lawrence: And as you can hear, she's hollow in there, so that tree is pretty well doomed. It's on its last legs. Jack: It's going to die. Lawrence: That's it. Causing a hazard so it will have to come out in the near future. Lawrence: OK, I’ve just noticed a torn limb over there – I think the tree is a swamp cypress, that’s from North America. Lawrence: Can you see that limb? That poses a hazard to the public if that comes down. Jack: Yep. It’s just hanging there. Lawrence: That’s the one. We might have to look at removing that. Lawrence: The first thing you’ve got is your climbing harness, you’ve got an array of carabiners. On here we’ve got a climbing hitch – we’ll have to teach you a few knots before you get up there. Lawrence: …then we’ll be using the top-handle chainsaw. Lawrence: OK, now we’ve got to try and get you up that tree. We’ve got to install our rope, so we have to make what we call our "monkey’s fist" – that allows us to throw the rope up from the ground. Lawrence: Maybe an overhand throw, and just visualise it. Lawrence: Shot brother! We in? Clinton: This climbing hitch knot grips the rope it is wrapped around when under the weight of Jack's body, but it moves freely when his weight is released, allowing Jack to manoeuvre his way up the tree. Lawrence: That’s good. Go for it brother, she’s all yours! Lawrence: I hope you’re not afraid of heights mate! Clinton: But, Jack won't be alone up the tree, Lawrence climbs up to give him some advice. Lawrence: Now we have to remove this sub-branch here, so we have to do an undercut for a start, to prevent any tearing, and then a top cut. Lawrence: We have to identify a branch collar. It’s good for the arm muscles mate. That’s it, you’ve got to make sure you’ve had your Weetbix for breakfast buddy! Lawrence: Just don’t pull it, let the saw do the work. Jack: So Lawrence, what do you enjoy about your job? Lawrence: It’s a good physical job. You don’t have to go to the gym when you’re an arborist – you’re getting all your training onsite. There’s really good camaraderie – it’s mates looking after mates – to make sure we’re working all safe and you feel proud in what you’ve achieved each day. Clinton: To remove the larger hazardous branch Jack will need something a little more powerful than a pruning saw. Lawrence: A little bit more mate! Lawrence: That’s fine. Do your top-cut just inside that cut that you’ve done…just back this side, Jack, of it. Lawrence: There you go! Well done. Lawrence: A little bit freaky? Lawrence: Well done brother! Well done! Clinton: To remove the hazardous branch, Jack needs to cut the limb into smaller, more manageable sections. Clinton: Things are going well but arborists always need to keep an eye on each others' safety. Lawrence: Whoop, look at this. Your caribiner. It's quite a hazard. Your caribiner's just coming undone. Come forward a bit. Sweet. Your caribiner opened. It rubbed on that branch. I've never really seen that happen before but it is a potential hazard. I'll get you to remove that branch now, if you could, mate. Get rid of that hazard totally. Lawrence: Good man. All clear below. Shot mate. Now we have to identify our branch collar. Clinton: This final cut is the most important, if he doesn't do it right, a big wound like this could cause more damage to the tree in the future. Lawrence: A hundred per cent! How do you feel about that mate? Lawrence: And a good finished product! Clinton: Back on the ground Lawrence discovers evidence of what caused the break. An old wound that weakened the branch. Lawrence: There's a classic example of an old pocket of decay. It might have been an old tear or a wound from years ago. You can see how the tree has walled off that decay and continued to grow. Jack: So what type of school subjects would be useful in arboriculture? Lawrence: You need a basic grasp of the English language, you might be interested in a bit of biology, or some of the sciences. Jack: When does the science part come into it? Lawrence: Basically when you want to become a qualified arborist, you’ll learn more about tree health and tree biology. You’ll do block courses to get your certificate or diploma in arboriculture, you start looking at things in more depth. Lawrence: And that’s the difference basically between just any old tree-cutter and a qualified arborist. Clinton: Now Jack has finished pruning, they use the chipper to tidy up. Lawrence: So how was that, mate? Jack: It was really good. I really enjoyed the climbing, and it was just cool. It’s something I want to get into. Clinton: To be an arborist you need to be physically fit, not be afraid of heights and enjoy working outside. A Level 4 arboriculture qualification is the minimum required to be a recognised arborist. There are two main ways to get this qualification: Treescape will pay for all your training while working, which usually takes about three years to complete. Or studying one year full time at Otago Polytechnic or Waikato Institute of Technology. To become an arborist you need to have a New Zealand Certificate in Horticulture (Arboriculture)(Level 4) or complete an apprenticeship and gain a New Zealand Certificate in Primary Industry Skills (Horticulture)(Arboriculture)(Level 4). You need to have a full driver's licence and pass drug and alcohol tests. A Class 2 truck licence and a First Aid Certificate are useful. A minimum of three years of secondary education is recommended. Useful subjects include agriculture and horticulture, and biology. Year 11 and 12 students can learn more about the horticulture industry, and study towards a National Certificate in Agriculture or Horticulture (Level 1 or 2), with a Trades Academy. Year 12 and 13 students can learn more about the horticulture industry, and gain NCEA unit standards, through the Primary ITO Gateway programme. Arborists need to have excellent fitness and must be strong to lift trees and branches. Arborists must be comfortable working at heights. They should also have good balance, hand-eye co-ordination, hearing and eyesight (with or without corrective lenses). Demand for arborists is strong due to high demand for their services, and a shortage of trainees. 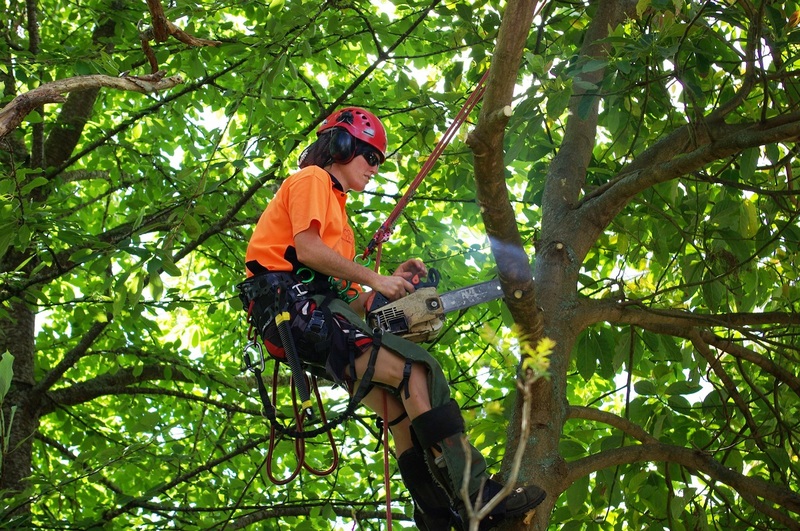 As a result, arborist appears on Immigration New Zealand's immediate skill shortage list. This means the Government is actively encouraging skilled arborists from overseas to work in New Zealand. Chapman, M, 'Partnership Key to Address Labour Shortages', 13 April 2018, (www.hortnz.co.nz). Chapman, M, 'Where are the Workers? ', 16 March 2018, (www.hortnz.co.nz). Fiske, Z, arborist, Hamilton City Council, careers.govt.nz interview, May 2018. Lines-Mackenzie, J, 'One of the World's Best Tree Climbers Wants some More Competition', 11 April 2-17, (www.stuff.co.nz). Ministry of Business, Innovation and Employment, 'Jobs Online Monthly report - April 2018', 15 May 2018, (www.mbie.govt.nz). Ministry of Business, Innovation and Employment, 'Jobs Online Quarterly report - March 2018', 27 April 2018, (www.mbie.govt.nz). Molloy, K, business partner people and capability, Napier City Council, careers.govt.nz interview, June 2018. New Zealand Arborists Association, 'Tree Matters Winter 17', (www.nzarb.org.nz). Otago Polytechnic website, accessed May 2018, (www.op.ac.nz). Penman, C, '"Wholesale Slaughter" of Auckland Trees', 13 October 2017, (www.nzherald.co.nz). Wilson, W, human resources manager, Palmerston North City Council, careers.govt.nz interview, June 2018. Arborists may progress to set up their own arboriculture business, or move into supervisory or management roles. Arborists may also progress to become consultants on tree disease and risk management, or on planning trees for public spaces. utility arboriculture – pruning and clearing trees near power lines or cables. Landscapers design, develop, maintain and remodel gardens and landscapes.